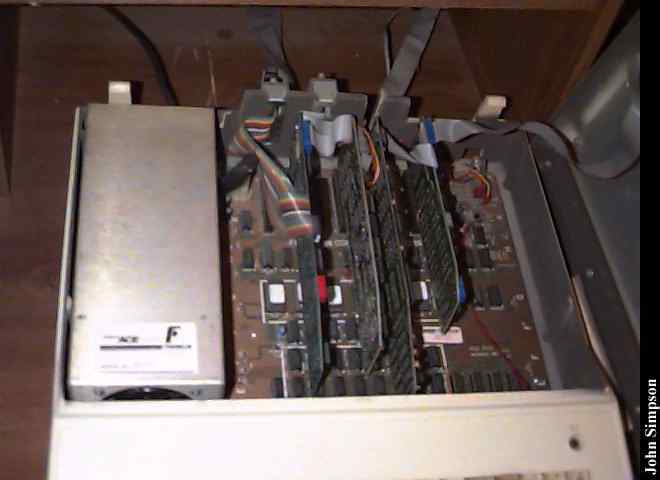 The Franklin Ace 1200 was an Apple II+ compatible that came out between the Apple II+ and the Apple //e. It included a CP/M card, a disk controller card, an 80 column card, and a dual serial/parallel card that was software switchable. That printer card caused alot of problems since many application program did not recognize it. The case, unlike the Apple series, was heavy metal, including a built-in shelf for the disk drives. 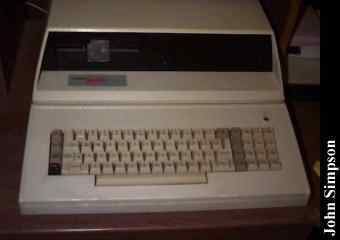 The keyboard was lower case functional, unlike the Apple II+ which required a shift key modification, but, there were no compatible keys for the open-apple and closed-apple keys that appeared on the Apple //e. A combination of keys pressed at the same time would simulate the apple keys. The Franklin series was short lived after losing a legal battle with Apple. 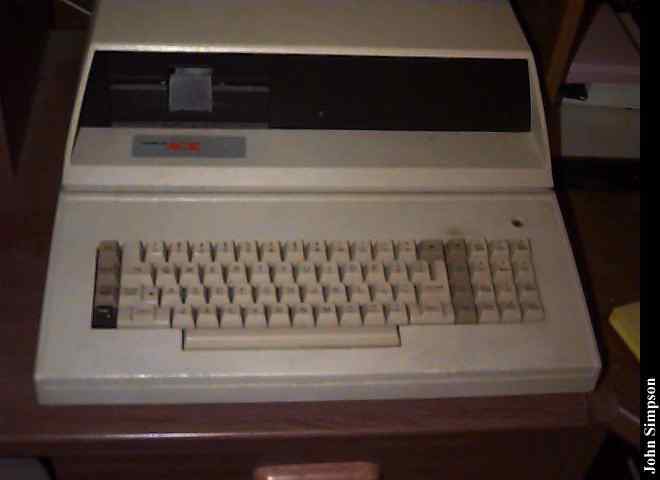 After most software that came out for the Apple //e used code checking to see which on which Apple product it was running, the Franklin would not load software for the Apple without modification to the boot sectors on the software. A major problem with the design was a reset button located under the left front of the computer. That button was easily bumped, causing all work to be lost. Click here to view all comments for the Franklin Ace 1200 and to leave your own. Click here to view comments about other Franklin computers.